How many different teas should a decent person have on his or her tea shelf? Two? Three? Ten? Thirty? It does not matter. The main thing is to have special teas for every guest and every occasion. So, this time I am going to speak about personal teas, specialty-teas and any other teas. Here I’ll make a reservation — it will concern not so much specific tea brands and trade marks but classes of tea, if I may say so. If there is a chance, however, I will point out the exact drinks, of course. And one more thing — the tea shelf that I offer you to compose will be based on European tea traditions and habits. Thus, a decent tea shelf should comprise: breakfast teas, afternoon teas, evening teas, flavored teas, exotic teas, personal teas, and specialty-teas. Trust me — this is an unmatched pleasure to know that you can offer the guest of your place his favorite drink. Even more so because he himself very often does not have time to look for this tea. For you, on the contrary, it is not a problem — you devote much time to your tea shelf anyway. So it is not at all difficult to buy, among others, this specific tea for Geoff. As you probably understand, there are no special tricks in acquisition of the personal part of your tea kit. You should simply remember the tastes of your dearest guests and take them into account. On my personal tea shelf, there are always several kinds of green tea and several kinds of flavored tea for the dearest guests — I myself drink them very seldom but my guests appreciate them a lot. Black tea & Green tea. Specialty-tea. Despite the fact that the presence of a specialty-tea in a tea kit makes this kit unique and transfers its owner into the tea expert cohort, it is very easy to get such specialty-tea. First, any tea in your collection can simply be declared specialty-tea, saying to everyone that for some time now you have been drinking this tea only — and nothing else; and telling all your guests that a barrel of this very tea is delivered every year to the personal cellar of Her Majesty. And that its name is ‘White Muscat of the Red St…’ No. Better tell them how dexterous fingers of sweltered girls in light summer dresses pick the best leaves from the plants. And then, in a scantily lit room, a young mulatto girl with sweet-scented skin and slender thighs rolls these leaves into wonderful long ci…. Well, you know… Carefully read the story on the pack of tea and then retell it to your guests. On hearing such a tirade the guests will be happy, they will tell everyone about your tea, and the next time they will ask you to make your ‘specialty-tea’. Three fourths of which, as you all well understand, consist of legendry. For one time my ‘specialty-tea’ was tea in which I added thyme when brewing. I personally like thyme’s taste and flavor a lot, but for an inexperienced tea-drinker these mossy woodland notes could seem strange. So, if there was some confusion on my guests’ faces, I began my story. I was telling them that thyme is our family’s traditional herb, that my grandfather taught me how to pick it, that it grows in sunlit pine forests and that its blossom is of fairy lilac color. That picking thyme is a very beautiful work, because everything around you is dry and clean, and there are always some drunk bumblebees on thyme flowers. If you touch them with your finger, they make some buzz-z-z and nothing else. That if you pick dewed thyme, it will have a slight mushroom flavor after being dried. That thyme is a very-very light hallucinogenic herb, that it is good for heart; and that I like its taste and flavor very much. After such a story was told, the visitors would drink tea if not with pleasure then, at least, with respect. So, just take an ordinary recipe (better — several ones) for your specialty-tea and make up a beautiful legend (legends). This is more than enough for a normal tea-drinking. By the way, despite my mocking narrative manner, I treat thyme tea with warm trepidation and gentle delight. 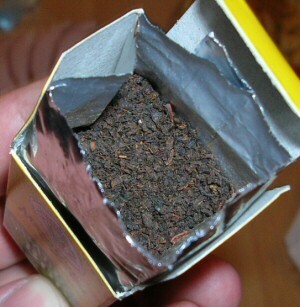 This is tea from my childhood. It is always confusing for me to offer it to my guests. It must be the confusion of an adult who keeps his or her favorite toy in the wardrobe. Simple Breakfast tea. Photo by Sergey Kalinin. Breakfast tea. It is very simple. It is a morning tea which may function as a morning cup of coffee. That is to say, it should invigorate, energize and further one’s awakening. It is tea for breakfast — tea to chase breakfast, one might say. This rather simple application of tea unambiguously determines its characteristics. It should be strong, invigorating, with rich taste (flavor may be disregarded) and it should go well with sugar, milk, lemon, and different snacks. These are the characteristics of any small leaf tea or blend. As a breakfast tea one may use Ceylon and Kenyan teas, small-leaf Assams, any CTC tea and, of course, blends of everything abovementioned. Like in every other simple case, tea sellers offer a great number of drinks which have the word Breakfast in their names. All these teas (if the producer is decent, of course) perform their morning duties perfectly well. Off the top of my head there are Ahmad English Breakfast Tea, Riston English Breakfast Tea, and Riston Irish Breakfast Tea. They are all good and moderately priced small-leaf teas, similar in their ‘breakfast’ characteristics. Afternoon tea. This is tea which concludes lunch. A proper lunch, I mean, not a spot of lunch at work or a technological intake of forage at a fast-food restaurant. Since afternoon tea is drunk after lunch, its main characteristic must be lightness. A cup of tea should on no account beat you down to your sofa, redoubling the repletion; on the contrary, it should enhance your mood and dispel the lassitude of satiety. 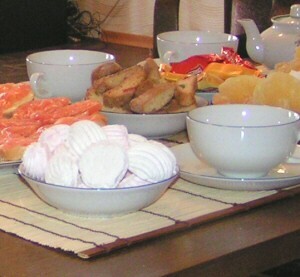 Afternoon tea is normally drunk without sugar, but with very light snacks. 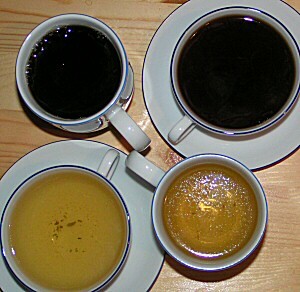 Chinese Keemuns and tea blends based on them (e.g. 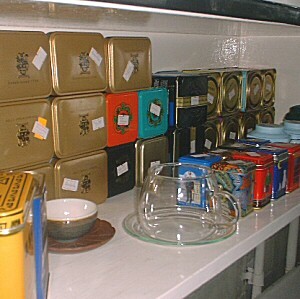 Russian Caravan Tea, Prince of Wales Tea, etc) will make good afternoon teas. Teas with light bergamot flavoring (e.g. English No.1 Tea, English Afternoon Tea) or tar-flavored (Lapsang Souchong Tea — if you are used to it, of course) can be just as good in the afternoon. Evening tea. Or ‘guest tea’. Or ‘tea drunk during a tea party’. Or ‘tea for tea’s sake’. I will stick to the first name, though, - ‘evening tea’, by ‘evening’ meaning not the time of the day, but rather the way of spending this time. Unlike breakfast tea and afternoon tea, evening tea has a rather complex functionality. Consequently, the requirements to the drink also become more complex. An attempt to state them will lead to the following set of rather subjective notions: not very strong, dainty, subtle, intelligible and pleasant for everyone drinking it, worthy of becoming matter of discussion. The ‘lightness’ of the tea by no means implies that you should economize on tea leaves. It only means that light and flavorful teas are better for an evening tea-drinking. That is, unless your guests are used to strong and rich teas, of course. What concerns such trans-phenomenal notions as daintiness and subtlety - they can manifest themselves in taste, flavor, infusion color and aftertaste. 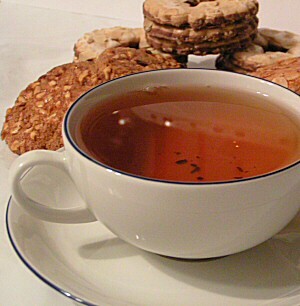 Indian Darjeelings and Chinese black teas (Yunnans, first of all) are traditionally regarded as dainty and subtle. A problem can arise there, though. The matter is that Darjeelings and China teas may appear too subtle to the traditional Russian taste (which has become rather coarse in the recent 30 years). This fact does not detract from these teas’ merits, but it makes one think about less sophisticated delicacies and subtleties, which can be reached, for example, by mild flavoring of the tea (at this point, evening teas may easily concur with afternoon teas). If, however, the drinking audience is ready to perceive rather subtle drinks, or in case the authority of the host is so strong that everyone will eat what is given, then one can try the following teas for evenings. Twinings Vintage Darjeeling Tea, Newby Darjeeling Tea, Ahmad Darjeeling Tea and other good Darjeelings traditionally give light brew and are characterized by very pleasant and varied flavor. When one is drinking them, they provoke involuntary wish to smack one’s lips for better taste discerning. Smacking lips is useless here though. Warm roughness of Darjeelings is distinguishable without it, while other organoleptic characteristics of these Indian teas are on the verge of senses. When you do understand that something is wrong, but what exactly is wrong you do not understand. And you cannot explain it. This ‘verge of senses’, by the way, may help the hosts when they offered Darjeeling to their guests and can see by their faces that the guests did not understand the tea. Then one can tell the guests that these teas are very delicate and their taste is hardly perceptible. Guests’ faces will brighten up at once, and the conversation will liven up — everyone will confirm this gustatory elusiveness, because no one will want to pass off for an insensitive blockhead who could not catch the imperceptible. Besides some arrogant bores and true punks, naturally. Chinese Yunnans with their peculiar ‘dry’ flavor and ‘unsmooth’ aftertaste require the most of experience from the audience. However, even if those drinking it do not like these teas, one may say that all Russian tea tradition is a tradition of drinking China teas. Those particular teas that are served up to the present. So, there is nothing to make a wry face about! The aforementioned blends Russian Caravan Tea and Prince of Wales Tea are also universal and suit both lunch time and evening tea time — but, as well as the other mentioned evening teas, only when tea-drinking is not abundantly accompanied with lavish snacks. Maximum, you will need a simple not-too-sweet cake, a honey cake, for example, (which is unequalled with Russian Caravan, by the way). In case tea-drinking is accompanied with diverse and rich cakes and pies, Indian Assams and Chinese Keemuns will go very well as evening teas; their main quality is their compatibility with any snacks — I have written about this a couple of articles ago. Flavored tea. By flavored teas I mean tea and not those mysterious drinks where tea is only a base substance for holding other tastes and scents (Forsman company, for example, present an abundance of such drinks in their assortment). Such blends, by the way, are called ‘colognes’ in tea-traders’ jargon. Thus, flavored tea is tea, with tea taste and tea flavor. And light undertone of something else. However, even light flavored teas are rarely drunk on the constant basis — even the most delicate flavoring palls. So, a drink, which at first seemed divine, in a couple weeks of regular use may cease to astonish, inspire, or please. At this very time (after first tempestuous love and regular drinking), this flavored tea is ready to occupy a place allotted to it in the gentleman’s tea kit. The place of somewhat zest to which the tea-lover resorts from time to time to tickle one’s receptors and gladden the guests. This, in fact, is the main function of flavored teas. It often happens that there appear quite a lot of such tickling pieces of zest in one’s tea kit. It occurs for a very banal reason — sometimes they appear much faster than they can be drunk. I will probably devote more than one article to different kinds of flavored teas (Earl Grey, Lapsang Souchong, Lychee, Vanilla Tea, etc.) But it will be later. Because now I should say some words about exotic teas — and round off. Exotic tea. This is the most unstable and the least formalizing part of a tea kit. Because exotic teas are comprised of, first of all, unusual teas, second, ‘situational’ teas, and, third, difficult-to-obtain teas. Flower tea. Photo by Anna Mironova. 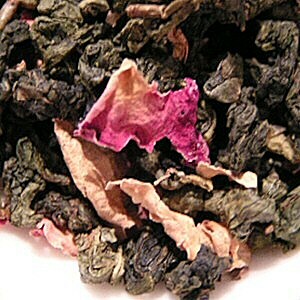 Unusual teas are mostly the teas with unusual taste and flavor, which merely require some time to get used to them. For example, Lapsang Souchong, Lychee, or vanilla teas, which I have mentioned already. As a matter of fact, the position of these teas in one’s tea kit depends on the people who drink it. If they have tried Lapsang Souchong before, then it is a flavored tea. If not — exotic. The logic is clear. Puerh, by the way is a very unusual tea for most Russian citizens. 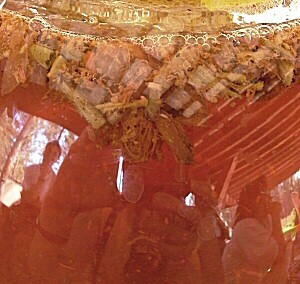 It is, if I may say so, a Chinese ‘over-fermented’ tea with dusty flavor, earthy taste, and distinctive red-brown infusion. This tea is extremely good for health, and tastes rather curiously after a certain period of adaptation. However, for Puerh this period is usually much longer than for all other aforementioned teas. So, Puerh can occupy its honorary flag place in the exotic part of your tea kit. Offer it only to your dearest guests: your wife’s girl-friends, who have come without invitation and flirtatiously ask for tea, or a young bonehead whom your only daughter has all of a sudden brought home. Situational teas are, for example, Christmas blends, which include citruses and spices (mostly cinnamon and cloves). This is a highly piquant thing which palls very quickly; but a couple times a year, at cold Christmas-eve nights, such teas can be used to amuse oneself and to give a treat to guests. I cannot think of other situational teas at the moment — but the essence, I guess, is clear.